Nagios Core provides the central monitoring engine and a web interface for viewing current status, historical logs, and basic reports. Did you know? There are a variety of Nagios projects that provide frontends that can enhance your Nagios experience. 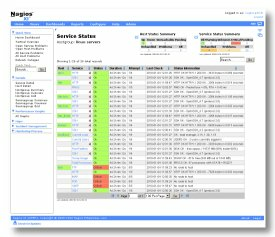 Looking for an easier way to get started with Nagios? Try one of the packaged distributions below.